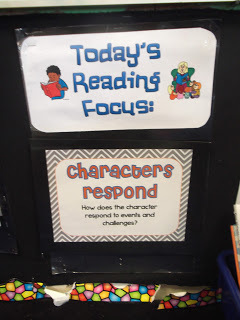 Reading Workshop tips that are workin’ for me! 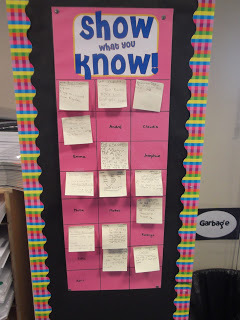 – Each student has a spot for their post-it note so that they are held accountable. 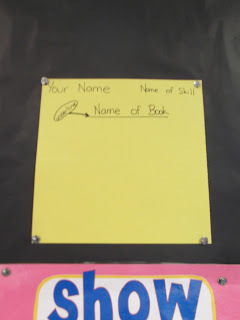 We spend about one week on each skill/standard so they have one week to put a post-it up on the board. You can’t see it on the picture, but some students have multiple post-its on their name. This makes it so easy to assess their understanding of the standards! I move pretty slowly with each of these skills. In a trimester, we have about 5 skills/standards to cover. I am really happy with this system because I feel super confident that they KNOW each of the standards. In the next couple of days, I plan upload all of my skills cards. I am proud of them and I know they will be helpful to so many others! Love the blog:) I nominated you for an award! Check it out. Hi there! Just wanted to let you know that we mentioned you on our blog…we absolutely love your "No Bullies Allowed" font and have used it to create a spelling game freebie on TPT. Hop on over and check it out! Hi!! I saw your post in the December goals on TpT forum….I am your newest follower (store & blog). Where can I get the posters you have on here? click here for the link to download them for free!